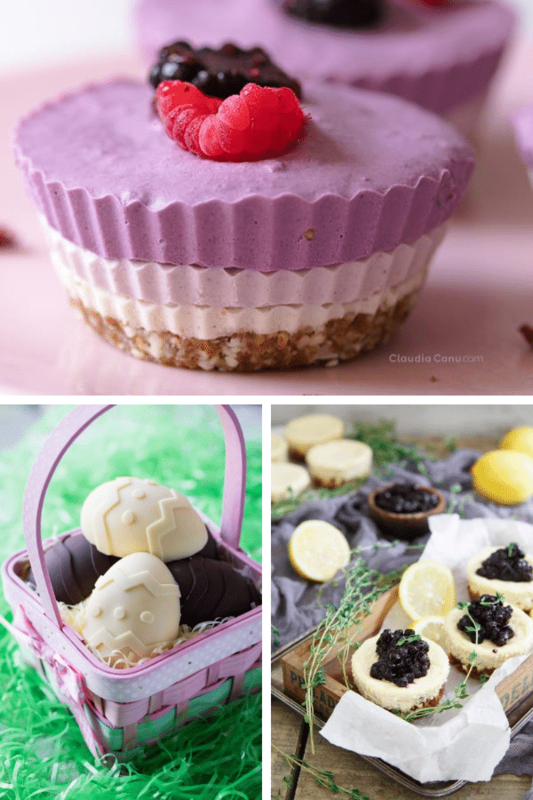 I’ve gathered up 25 gluten-free Easter dessert recipes that will have your guests coming back for more! 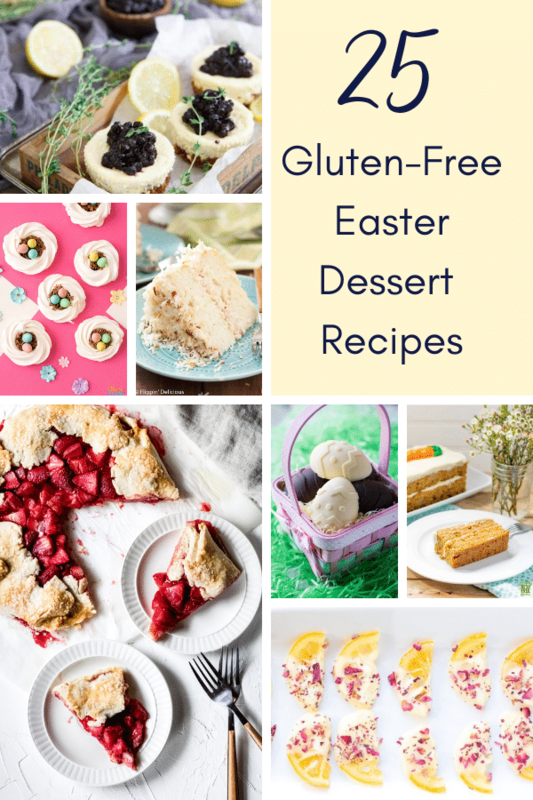 My motto is always going gluten-free doesn’t mean you have to sacrifice flavor – and these 25 gluten-free Easter desserts will show you exactly how to make delicious gluten-free desserts that taste amazing! 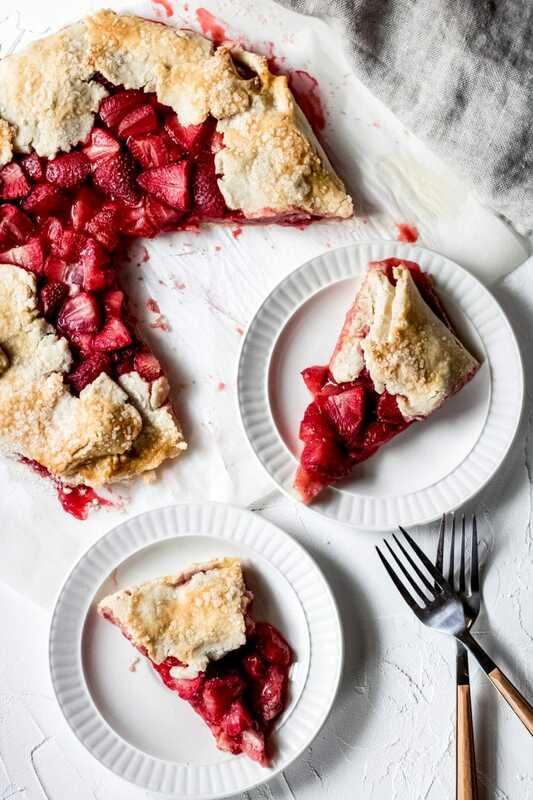 Plus – included in this roundup of recipes are desserts that also fit other dietary lifestyles; from keto-friendly to sugar-free to dairy-free – you’re sure to find exactly what you’re looking for. 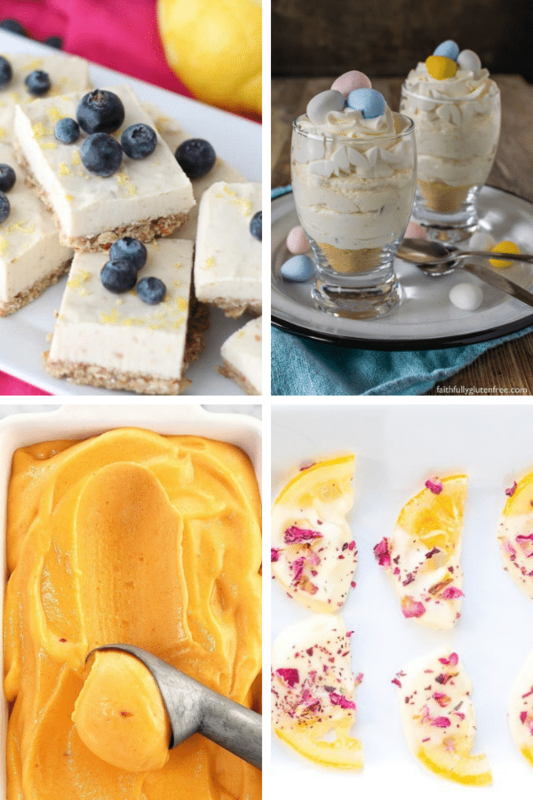 Whether you require gluten-free or perhaps your guests, fixing one of these gluten-free Easter desserts will help everyone feel included! Spring baking is one of my favorite seasons, right after fall baking. 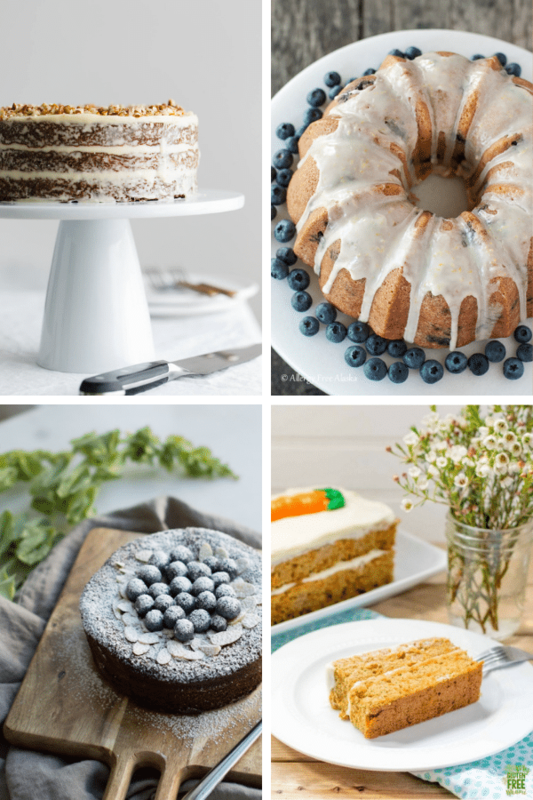 From Easter to Mother’s Day, spring baking means gorgeous desserts! 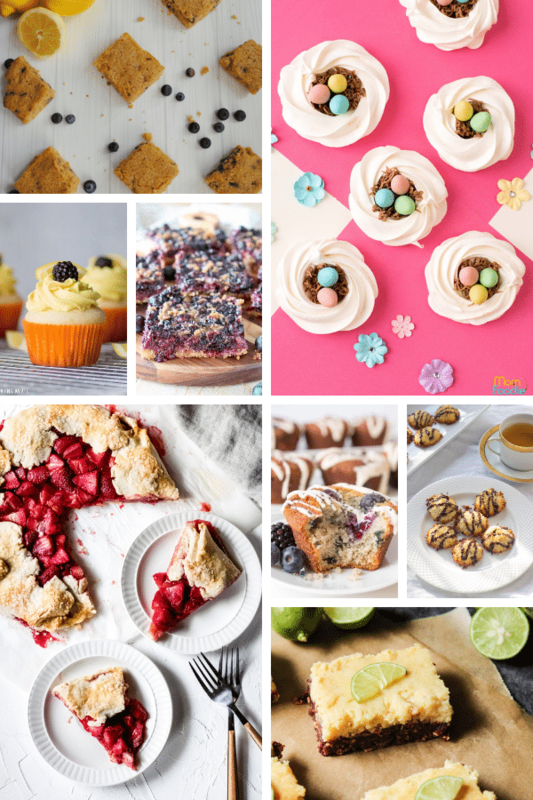 That’s why I wanted to collaborate with some of my fellow foodie friends and bring you an amazing collection of gluten-free Easter desserts. What desserts are naturally gluten-free? Most ice cream and sorbets are naturally gluten-free, but check for any mix-in ingredients. Fruits and chocolate are also naturally gluten-free. 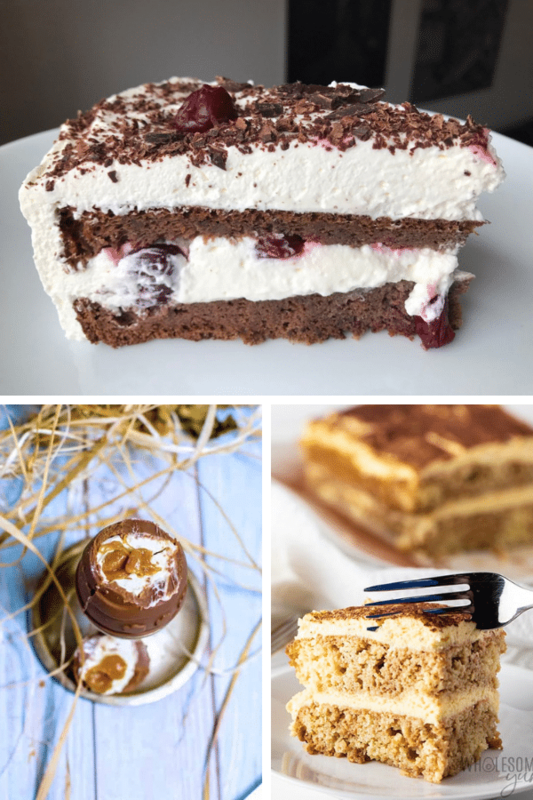 Of course, there are many other gluten-free desserts made with gluten-free ingredients – like those listed in this post. Do I need xanthan gum for gluten-free baking? It depends on the recipe, but there are many 1 to 1 baking flours available now, like Bob’s Red Mill 1 to 1 baking flour that make converting any baking recipe into a gluten-free recipe super easy. Which gluten-free flour is best for baking? I use Bob’s Red Mill 1 to 1 baking flour for all of my gluten-free baking. Cup4Cup’s gluten-free flour blend is also good. Does gluten-free baking take longer? I have found that when using a 1 to 1 gluten-free flour blend, the bake time remains the same. Baking times may vary at higher altitudes. Can I substitute gluten-free flour for all-purpose flour? Yes, if you are using a 1 to 1 gluten-free flour blend then yes, you can substitute for all-purpose flour at the same ratio. 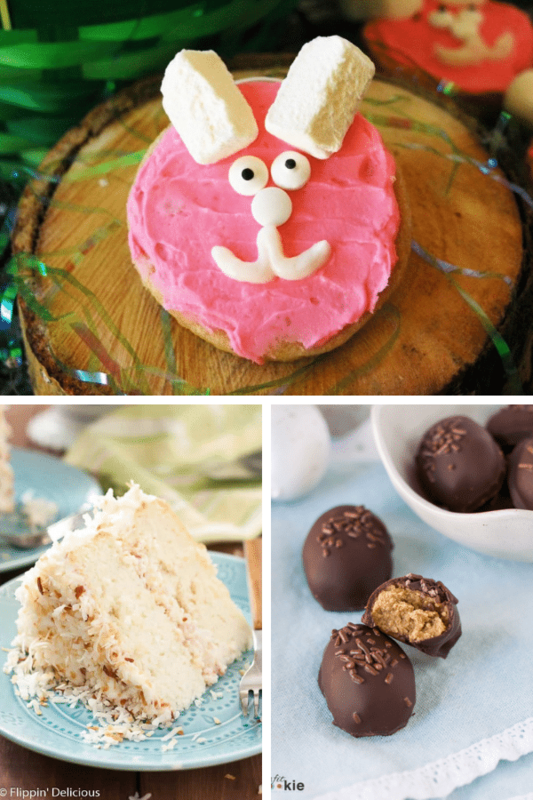 Enjoy these delicious gluten-free recipes for Easter dinner!